Mahvesh Marissa Garcia has been a Camarillo resident for over 25 years. She began working at Gold Law as a part time law clerk in 2007 and continued on as an attorney in 2009, after being admitted to the California bar. During her years at Gold Law, she has had the opportunity to handle cases involving a wide spectrum of practice areas. While she is very experienced in all areas of civil litigation and family law, her expert abilities and passion are in estate planning, probate, and trust litigation. Ms. Garcia is a Certified Specialist, Estate Planning, Trust & Probate Law by the State Bar of California Board of Legal Specialization. After receiving her Bachelor’s degree from Cal State University Northridge in 2005, she went on to law school at Southwestern Law School. She was ranked in the top 20 percent in her class and was on the Dean’s List in 2007-2008, ranking in the top 10 percent per academic year. While attending Southwestern, she was the recipient of the Harvey L. and Lillian Silbert Public Interest Fellowship (2007) and the Cali “Excellence for the Future” Award for Constitutional Law (Fall 2007). 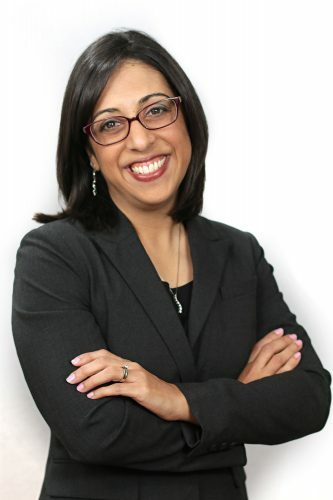 She is a member of the Ventura County and Los Angeles Bar Associations. She worked as an extern with Neighborhood Legal Services of Los Angeles – domestic violence self help clinics at the Van Nuys and San Fernando Courthouses in 2007. In 2008, she was a Certified Law Student/Extern with Ventura County District Attorney’s office. Also in 2008, she was a Judicial Extern to United States District Court Magistrate Judge Patrick J. Walsh. From 2010-2011, she volunteered as a “Big Sister” with the Big Brothers Big Sisters of Ventura County. Since 2012, she has volunteered every year as an attorney scorer for the Ventura County Mock Trial Program. When she is not working, she devotes her time to her family, especially her three children.